Bert found his love for music at the age of 5. He was first introduced to the violin then progressed to the piano and accordion. After receiving a few music lessons he withdrew from formal musical education because he “wanted to do it his way”. At the age of 12 his parents bought him a spinet organ and he continued to teach himself to play. He plays strictly by ear by listening to recordings. He formed a dance band at 15 and played all over Illinois for 12 years before moving to California. This is where he encountered his first theater organ and again, taught himself. 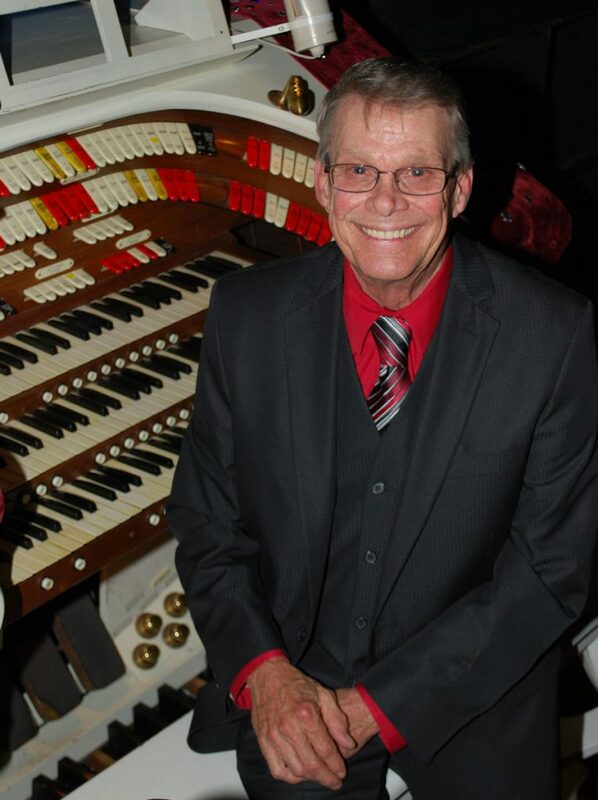 He became staff organist at Arden Pizza and Pipes in Sacramento California. Bert has played many concerts in northern California. He relocated to Quincy Illinois in 2008 and now has started to perform in the St. Louis area. Bert has a unique approach to the theater organ. He has a love of ballads, big band, and will sometimes throw in a little old time rock n’ roll.